NOTE: This formulation of MAINTAIN is proprietary to Jade Bloom and comes in our large 2oz glass bottles with screw cap dropper top equivalent to a 6 to 8 week supply using twice daily. Help MAINTAIN hair color and even restore color to graying hair by rubbing a full pipette of MAINTAIN into target areas of the hair, once per day, until the hair is equally coated. Leave product in hair for at least 15 minutes before rinsing. Oils may also be left in all day if preferred for better results. For best results massage scalp while head is lower than your heart to allow blood to more easily circulate to the hair follicles. If skin irritation occurs reduce daily use to once or discontinue use altogether. MAINTAIN may be used as a hair masque or left in all day. If washing, allow product to remain on scalp for 15 to 20 minutes. Q: Is MAINTAIN really comprised of 100% pure essential oils or is there something else added? A: Yes, MAINTAIN contains the highest quality therapeutic grade essential oils in a unique blend specifically formulated for maintaining and restoring natural hair color. 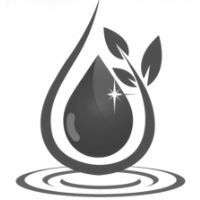 We do not use chemicals, additives, pesticides, or dilute our oils in any way. All of our raw ingredients are selectively sourced from farms that we visit and audit on a regular basis to ensure we use only non-GMO organic materials in our distilling. Q: Can MAINTAIN be used on hair that is already colored? A: Yes, MAINTAIN targets the melanin (dark pigmentation that gives hair its color) at the root of the hair. You may continue to use hair coloring while treating your hair with MAINTAIN. Q: How long does it take for MAINTAIN to start to work? A: MAINTAIN begins working from the very first use, but results aren't typically noticeable until after 4 to 6 weeks of regular use. Q: How do each of the oils listed in the ingredients help with hair health and growth? A: Each oil plays a key role in perfecting this blend and all oils have known scientific research for maintaing and restoring hair color. Read below to see how each contributes to this unique blend. Amla Fruit -- There are many free radicals that damage our hair follicles and melanin, which produce black pigments. When the production of melanin is hampered, hair starts turning grey. Amla is a storehouse of antioxidants that prevent free radical from damaging our hair. Black Cumin Seed -- Nigella sativa (Black Cumin Seed) has more than 100 nutrients and vitamins to replenish the skin and hair. This is a key carrier oil in our MAINTAIN hair blend to help create a healthy environment to PREVENT hair loss, MAINTAIN hair color, and REGROW new hair. Clary Sage -- Clary sage essential oil is a natural hair growth booster. It can stop hair loss, prevent baldness, promote hair growth and make the hair stronger and shiny. If you have problems with curly unmanageable hair, clary sage essential oil might also be helpful for your hair. Clary sage essential oil also helps to stimulate hair follicles. Parsley Seed -- This oil also has antibacterial and antifungal properties that helps clean hair follicles and promotes overall hair health. USP Comsmetic Grade Vitamin E -- Our high quality Vitamin E oil has the ability to slow down the aging process. This is because it prevents cells and tissues from oxidizing; oxidation is what causes premature aging. That is why vitamin E is so successful in getting rid of unwanted gray hair. Also, everyone suffers from split ends at some point during their lifetime, and it seems like the only solution is to have your hair trimmed regularly. However, did you know that vitamin E could help repair those split ends just as easily? Vitamin E is a key ingredient in our MAINTAIN hair color blend and helps perfect the balance of carrier oils to essential oils. Seems to be a good product! Not the most appealing smell, but then it’s not meant for that. It seems to be helping so far. I received mine in a timely manner and with only one application I noticed a difference. Thank you for providing this excellent combination of essential oils which will extend the time between coloring my hair and I may not even have to do that. I actually enjoy using this blend. It seems to be helping my scalp. It always feels better and my hair shiner after I do a treatment. One of the serums is helping my hair grow thicker; I have had several people comment! I have been letting my hair gray naturally after many years of coloring and I get so many compliments on the color. Everyone thinks I have highlighted my hair. I tried this blend this morning for the first time and left it on for approximately 30 minutes. After washing and blow drying my hair, I had considerably less grey hair. At first, I could not believe my eyes. I checked several times and even in my car in the sunshine to be sure I was seeing correctly. This product is AMAZING. I will definitely continue to use this blend. Thank you Jade Bloom.